Literary theoretician, graduate of comparative studies and Polish studies at the Jagiellonian University. 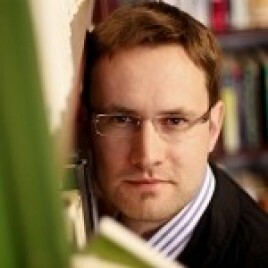 In 2008–2010 deputy director, and since 2010 director of the Centre for Liberal Studies. Assistant professor at the Chair for International Polish Studies of the Faculty of Polish Studies. Together with Michał Paweł Markowski, he coordinates an English-language PhD programme, which is also a part of the international Cultural Studies in Literary Interzones PhD programme offered by a consortium of 16 universities from Europe, Asia, Australia and both Americas (2009–2018). Bilczewski obtained his PhD in 2008 for the thesis Komparatystyka literacka jako sztuka interpretacji w kontekście badań nad przekładem. In 2002–2005, he was the secretary to the Rector of the Jagiellonian University and secretary to the Rector’s Permanent Commission for the Implementation of the Bologna Declaration. Graduate of the Warsaw-based Collegium Invisibile (2002, literary theory, comparative literary studies). Three-time recipient of the scholarship funded by the Minister of National Education and Sport (1999–2002), participant of the Erasmus/Socrates Programme (Universiteit Gent, 2000), holder of scholarships granted by the Stanisław Estreicher Fund (2004), the Young Leaders Fellowship Fund (2004–2005 and 2005–2006) and the Karolina de Brzezie Lanckorońska Fund (London, 2005, awarded by the Polish Academy of Learning in Krakow). Bilczewski carried out research projects at the University of Oxford, Université Paris IV Sorbonne, Centre for Translation, Communication and Culture, KU Leuven (2005 and 2007). Granted the Prime Minister’s Award for his PhD dissertation in 2009 and the Zostańcie z nami (Stay with us) scholarship funded by Polityka magazine in 2010. So far, he has published Komparatystyka i interpretacja. Nowoczesne badania porównawcze wobec translatologii (2010), and the anthology Niewspółmierność. Perspektywy nowoczesnej komparatystyki (2010).